So, you’re planning on setting sail on the high seas for an adventure of a lifetime. You’ve packed everything you could possibly need to get your Pirates of the Caribbean style adventure underway. You brought your cutlass, you’ve packed enough rum to last you a week and you’ve even brought along a magical compass that will help you locate any treasure that captures your heart’s desire! But haven’t you forgotten something, you savvy pirate, you? What’s going to be on your head while you do all this? You are going to need a hat and not just any hat! You’re going to need the hat of a Captain, like Jack Sparrow! 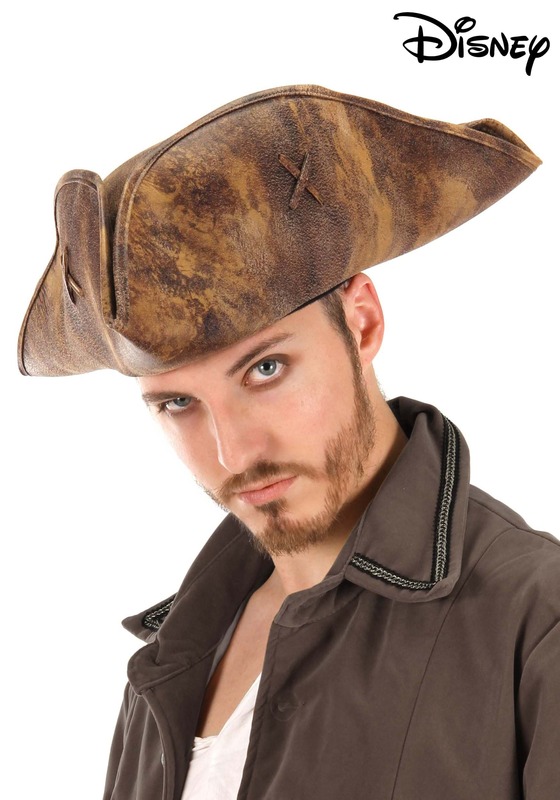 This Captain Jack Sparrow Hat is THE pirate hat to wear. It’s made of a faux leather material and it’s shaped into a nice tricorn design. Just place it on your head and you may just find that you have a ravenous thirst for adventure… and rum! Just like the real captain from Pirates of the Caribbean!